The knit-in Mamba pattern, combining black with vivid sulfur, offers a signature style and draws on inspiration from the Chinese Year of the Snake, 2013. Engineered mesh in the upper, used for the first time in a basketball shoe, provides a dynamic, ultra-lightweight fit that moves with the foot and offers 360 degrees of breathability. Complementing that are the full-length Lunarlon midsole, 3D anatomical heel counter, glass composite foot shank, 1mm web rubber outsole and other highly innovative features, providing additional comfort, traction and stability for enhanced performance. All of it combines to create Kobe’s lowest and lightest performance basketball shoe to date at 9.6 ounces (U.S. men’s size 9). The Away (black/sulfur) colorway will be available at retail globally on December 20. A python-inspired colorway will become available in Greater China on January 12, 2013 and in North America on February 2, 2013. 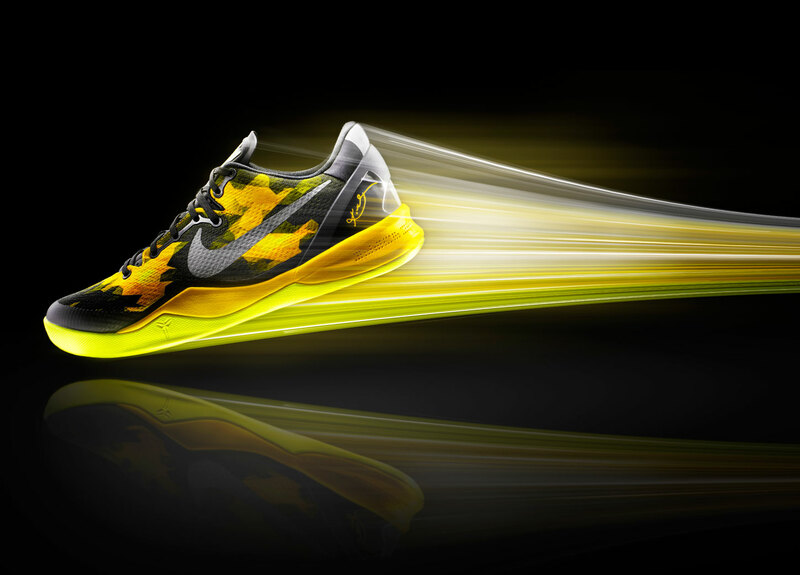 The Kobe 8 System became available to design, save and share through NIKEiD on December 4. Fatlace Japantown: Who’s in Store?